A lot of people have heard the term before, but what does it actually mean to go green? Typically, it involves opting for clean energy, and there are a variety of ways to go about doing this—here are a few tips to lead you in the right direction. Insulation is one of the most important home performance influencers. It’s commonly thought that insulation is only necessary during the winter, but it’s actually essential for keeping cool air within the home when you’re running your AC during the summer. Upgrading to high-performance insulation is a great way to make use of the systems that are already in place in your home and noticeably enhance their performance, and it doesn’t have to be outside of your financial reach. Insulation is certainly one of the most important types of home upgrades you can focus on, but what about air sealing? Most homes are plagued with a number of tiny, sometimes microscopic cracks and gaps that can allow inside air to escape and outside air to enter, both of which can be problematic in terms of home comfort and indoor air quality. Air sealing is the solution to this all-too-common issue and can ensure that cracks and gaps never get in the way of home performance. 2015 has been a banner year for California Energy Services. Don’t take our word for it, though—our customer reviews speak for themselves. 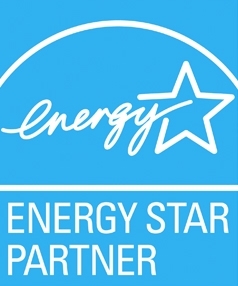 We’ve helped countless homeowners move in the direction of true energy efficiency, and it all starts with a home energy audit. Our team of home performance professionals will analyze your home and determine exactly what types of upgrades might help you to improve efficiency, comfort and indoor air quality. From there, we’ll work to put together a plan that suits your budget and needs. Happy holidays to all our customers, from California Energy Services! To learn more about going green, contact us today. Older PostDo You Need to Schedule Heating Maintenance?